Today, USGS announced that a 7.0 magnitude earthquake hit the eastern coast of Japan. The earthquake was big enough to trigger the alarm for a potential tsunami. 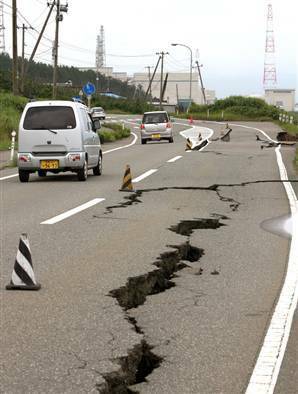 Earlier today, the coast of Sendai was hit by an earthquake with a magnitude of 7.0. At this point, there is no damage reported. However, the coastal residents were urged to evacuate the area as there is a high risk of a tsunami hit. The earthquake was 131 miles off the coast. The Washington Post reports that the Sendai airport was not closed. “At the Sendai airport, flights took off without disruption, television station NHK reported.” The Fukushima nuclear plant has been shut down within an hour from the earthquake. “None of the nuclear plants along Japan’s northeastern coast, including Daiichi, reported problems as a result of the tremor”, The Washington Post added. Since the March 11 earthquake, this was the biggest earthquake to hit Japan. The USGS originally listed the magnitude of 7.1 for the earthquake, but later dropped it to 7.0. At the same time, The Japan Meteorological Agency listed a 7.1 magnitude at first, but then raised it at 7.3. The earthquakes in May that hit Japan’s coast, followed by the tsunami, have caused a series of serious damage which affected not only the population in the area, but also the economics of the country. Several companies had to disrupt activity due to the energy loss caused by the damage at the Fukushima nuclear plant. Since this summer, the government has applied new energy consumption rules in order to save energy.